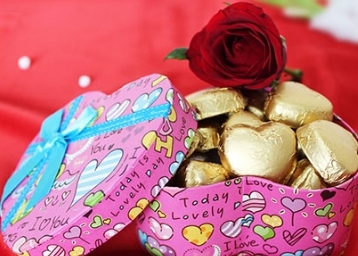 Happy Valentine’s Day - We can not live alone in this world that is why god created so many relations, so that one can live and love the way he want.We always try to make our loved ones happy, through gifts which are our unspoken feelings to them. That person can be anyone, Your parents, siblings, Husband, wife, girlfriend,Best Friend etc. 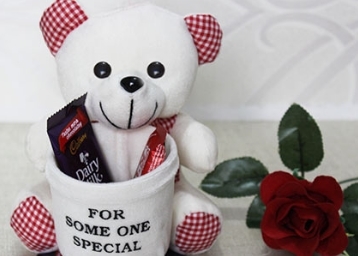 So, here are some gift ideas for this valentine’s day that you can gift to your special people and tell them to be with you till eternity with a beautiful bond called love. 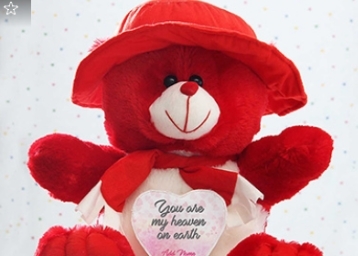 Express your love for your special one with the red cuddly teddy wearing a hat and a red bow. The teddy has a heart shaped personalized space for your name and a special heart shaped chocolate to make the best of Valentine's day. A perfect combo gift. 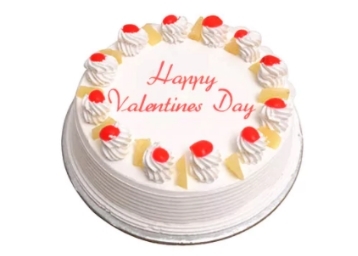 For the sweetest person in your life who deserves only rewards, this creamy and soft Valentine special pineapple cream cake would be a great choice. 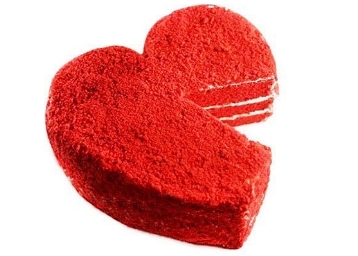 A beautiful combination of sweetness and freshness is there in this cake which would surely win the heart of your darling. 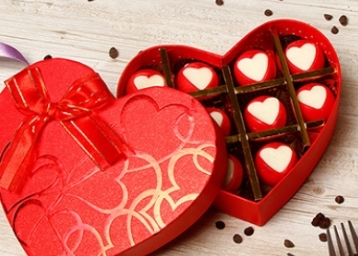 Therefore, as a Valentine’s Day special gift, you just cannot ignore this piece of heaven !! 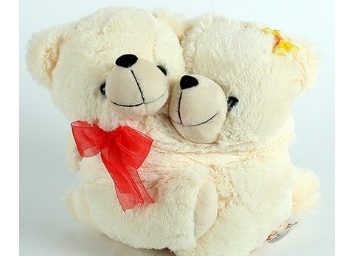 Bowl over your beloved with this cutest off white Teddy Bear in the world. The 8 inch teddy is an adorable present that could sit near your loved one’s bed side. 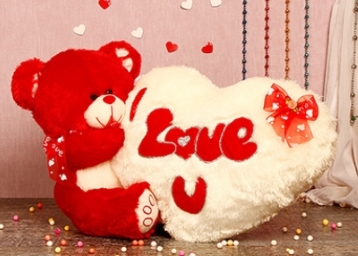 This Valentine's Dat gift this cute memorable stuff toy to your beloved as a symbol of your everlasting love for him/her. If you are in love with someone, then there is no better option than this amazing combo from Ferns N Petals. 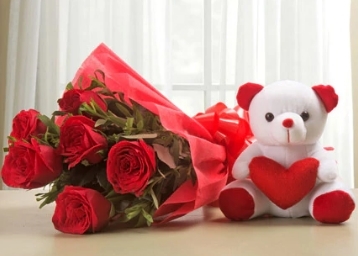 Get a perfect gift combo of 6 Red Roses along with 1 small teddy bear and create memories of your grand celebration. Order this beautiful expression now and convey your true emotions. One Teddy Bear is cute. How about two? Cuteness Doubled. 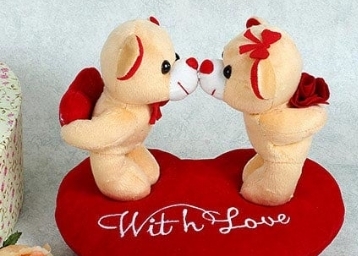 This kissing teddy is the cutest expression of love and longing. Gift your special one this cute pair to depict your sweetest expression of love. Perfect for sending to your special someone on Kiss Day !! 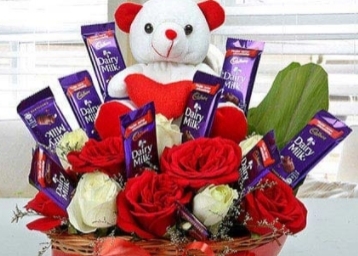 When pretty flower bunch is what you want for your dearest one, this is what you must choose and surprise him/her. 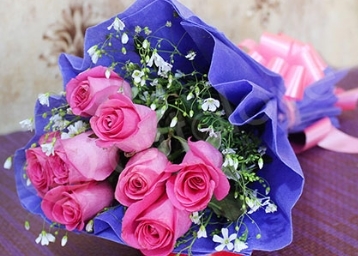 It’s a wonderful bunch of Pink Roses that is turned more attractive with its neat colored paper wrapping. To confess your hearty feelings or to impress your sweetheart, this flower bunch is never to let you down. 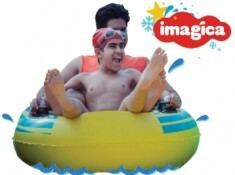 Express your hearty feelings of love to your beloved on this Valentine’s Day with Hearty gift. 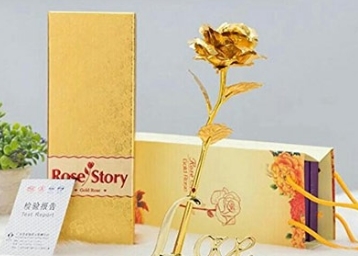 It’s an attractive Heart Shape that is full of delicious Assorted Chocolates and an artificial Red Rose, making it a heart winning and romantic gift of love. 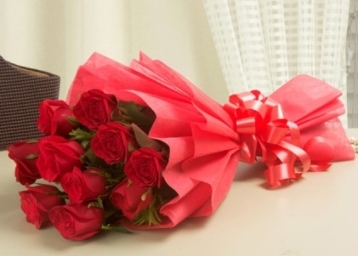 Spread boundless love everywhere with this beautiful bunch of gleaming red roses. 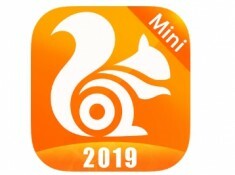 It is a symbol of pure love, care and affection. This is ideal for showing your special ones how much you love them. 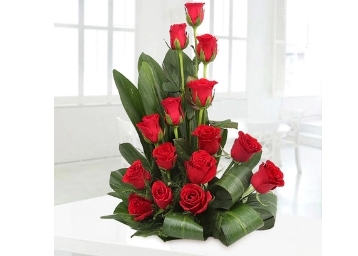 The 10 red roses are bunched beautifully in a paper with a red Ribbon bow.Ferns N Petals brings this product solely for gifting to your soul mate. Love confessions should be done with a cute gift like this. It’s a cute teddy of 6cm with an attached pen holder and clubbed with a Dairymilk chocolate bar of 14 gm and one Kitkat chocolate of 13 gm. 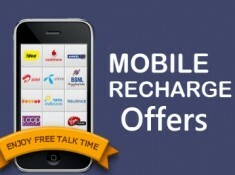 It can be a perfect Birthday Gift as well as Valentine Gift, Teddy Day Gift, Propose Day gift and more. Rose is the symbol of Love. 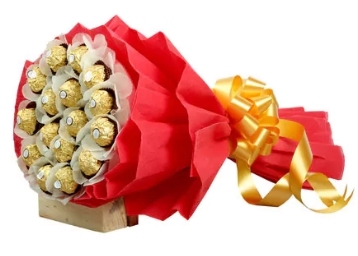 Choose this fabulous Golden Rose and make it the gift of Love. 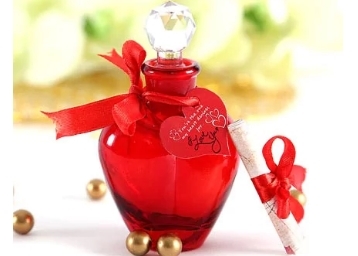 It's a beautiful and heart winning gift item that is perfect as Anniversary Gifts, Valentine Gift, Birthday Gift and as a token of love for someone special and loving. It comes in a beautiful box of packing as well. 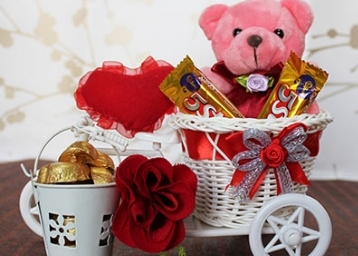 Express your heartfelt feelings of love to beloved on this Valentine’s Day with this adorably cute and cheerful gift hamper that has to give many little and delightful gift surprises to your sweetheart such assorted chocolates, small heart shape cushion, small teddy bear, 5-Star chocolates, decorative cycle and lovely artificial red rose. Willing to greet someone special to you with something special? 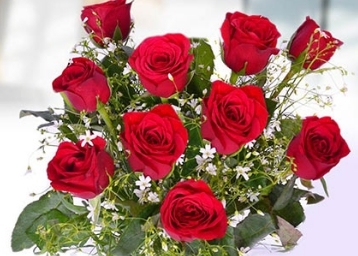 If yes then go for this lovely 10 Red Roses bunch to gift. Here it is a beautiful Red Roses bunch that is decorated with green fillers and wrapped nicely with cellophane wrapping paper and colored ribbon. On Anniversary, on a meet with some dear, Valentine’s Day, Birthday, Farewell, Mother’s Day and other special occasions, this bunch of Roses is an impressive gift.